Toni-Ann Williams was the first Jamaican in action at the 2016 Olympic Games in Rio de Janeiro, Brazil, at the women’s gymnastics competition. At the Rio Olympic Test event, she created history when she became Jamaica’s first gymnast to secure qualification to the Olympic Games on Sunday, April 17, 2016. She put in a solid effort, placing 16th as an individual not competing with a full team, and finishing 38th overall, with a score of 52.931 in the all-around event. Williams also had an outstanding sophomore year for the University of California, Berkeley Golden Bears, earning her fourth All-America distinction and a slew of other honours. She topped it off by becoming the first women’s gymnast from that institution to qualify for the Olympics. Most Jamaicans were just becoming familiar with her name, especially after it was reported that entertainer Beenie Man would sponsor her Olympic gear. However, Williams has been making her mark for Jamaica for quite some time now. Her Olympic competition ended after the first round after finishing 54th overall with 50.966 points on the Floor Exercise, Vault, Uneven Bars and Balance Beam apparatus. In her four rotations Williams put in the most impressive performances in the floor exercise where she scored 13.200 and vault where she scored 14.100. Williams struggled with the uneven bars and balance beam where she recorded scores of 12.133 and 11.533. She added a bit of spice to the proceedings when she paid homage to famous teammate and sprint king Usain Bolt. Toni-Ann Natasha Williams was born in Randallstown, Maryland in the USA on November 20, 1995 to Jamaican parents Tony and Marlene Williams. She is 5’ 1” tall. She has three sisters, Maya, Kristine and Zitafa. Maya is also a gymnast on Jamaica’s national team. Williams’ freshman season for the Cal Bears was one for the history books. She claimed 30 event titles: nine floor, eight all-around, seven vault, five bars, and one beam, breaking five school and Pac-12 conference records in the process. She is the only gymnast in Pac-12’s 57-year history to be named Gymnast of the Week and Freshman of the Week concurrently, and the only Cal gymnast to record two 10.0s in her collegiate career – both on vault. She became a Level 10 gymnast (the highest level in the USA Gymnastics Junior Olympics Program) in 2009, and won consecutive State Championships between 2010 and 2014. 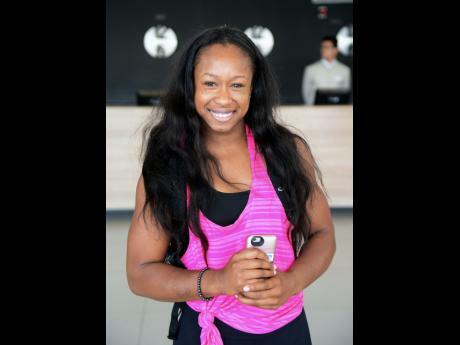 Williams first made the Jamaican national gymnastics team in 2010, and made her debut at the 2011 World Artistic Gymnastics Championships in Tokyo, Japan. Her favourite and most successful apparatus are the floor exercise and the vault; her least favourite is the uneven bars. She has a pink stuffed unicorn named Sugar Pie that she takes everywhere. It was a gift from one of her Cal Bears teammates. Take a look at Toni-Ann’s history-making moves and find out more about her journey to Rio in this video. Tracey-Ann Wisdom is a freelance writer and editor based in Kingston, Jamaica. You can find her online at www.writtenbytracey.com. Previous articleWho Will Bring Home the Medals from Rio 2016?